Today I’m thrilled to have Jeff Cohen on the show. Jeff is someone I met at the Import Summit last year and he’s the director of business management over at Seller Labs. Chances are if you are selling on Amazon, you’re probably using one of their awesome tools. For example, Feedback Genius which is a tool I use heavily, is a must have tool that automates the acquisition of customer reviews. And they have other awesome tools like Snag Shout which help you gather additional reviews and discover profitable products to sell on Amazon. All of these tools have tens if not hundreds of thousands of users and they are awesome. Anyway, I wanted Jeff on the show today because he has access to a lot of Amazon data and works deeply with a wide variety of Amazon sellers. In other words, he follows the industry closely and knows a ton about what’s going on. How they come up with the idea for their software. The current review landscape on Amazon. Are paid reviews ok to have? The strategies that used to work on Amazon but should be avoided today. What successful sellers are doing to launch their products. Steve: Welcome to the My Wife Quit Her Job Podcast. Today I’m thrilled to have Jeff Cohen on the show. Now Jeff is someone who I met at the import summit last year, and he is the director of business management over at Seller Labs. Now chances are if you were selling on Amazon you were probably using one of their awesome tools. So for example Feedback Genius is a tool that I use heavily, and it’s a must have tool that automates the acquisition of customer reviews. And they have other awesome tools like Snagshout and Scope which help you gather additional reviews and discover profitable products to sell on Amazon. Now all these tools have tens if not hundreds of thousands of users and they are awesome. But anyway I wanted Jeff on the show today, because he has access to a lot of Amazon data, and he works deeply with a wide variety of Amazon sellers. In other words he follows the industry very closely, and he knows a ton of what’s going on. And with that welcome to the show Jeff, how are you doing today man? Jeff: Great Steve, thanks for having me, thanks for setting me up. I guess I have a lot to live up to now; I’m going to try to deliver. Steve: Yes, so before we begin give us the quick background story and tell us how Seller Labs got started, and kind of how you guys all came with the idea of Amazon automation software. Jeff: Yeah, so if you go back into the history of Seller Labs our two co-founders were working on a physical product business. So they were buying books at retail auction, so all the books and products that literally fall off of the truck and never get delivered to you by USPS ended up in a warehouse outside of Atlanta Georgia. And they would do auctions on a weekly basis, and Brandon and Paul kind of got started in the industry doing some online arbitrage with books, and then got into buying physical books from the USPS auction. Steve: These aren’t textbooks right, these are book books? Jeff: No, they weren’t — so we — they kind of got started in the textbooks space, but it was also regular dollar books. Text books obviously have a higher profit margin. Jeff: Yeah, but it was everything from that to precious medals. And the USPS auction was really fun and people that kind of were involved in the internet back in those days, they didn’t knew how this worked, but you walked into a huge warehouse right. And everything was in gaylords [ph] and for those that don’t know what a Gaylord is imagine like a wood skid with like a four foot wall all around it, and then inside that wall is just piled with stuff right? And you walked around and everything was in lots, and so you couldn’t see anything beyond the top layer of that box. So you had to like make this educated guess as to the retail, or online value of the box that you were going to buy and then you bid on it. And the more boxes you bought the better you got it estimating their cost and such like that. And Brandon is a programmer by nature, and so he was programming all of our inventory and shelving, and deciding what went into FBA and what stayed at our warehouse. And we had this problem, and the problem was that we would properly describe books, but we would still get negative seller feedback. And so Brandon was trying to solve a problem of how do I get seller feedback on my good books, because I only seem to get negative feedback on my bad books. And that was really the initial build of Feedback Genius was solving that problem, so that we could target messages specifically based on condition type at that time. Or length of delivery so people that got their books they were in good condition and got them first. We were asking them for feedback to combat the people who got books with water stains and couldn’t read, then it had water stains and then wanted to complain about it. Steve: I see so this is for seller feedback or product feedback or both? Jeff: So the system was really built– if you go back into like 2011, 2012, seller feedback was what everybody needed. And the concept of product reviews didn’t really exist in the way that it does today. Steve: Okay, and so are those guys still selling any physical products, or is it just all software now at this point? Jeff: Yeah, so in 2013 we attended a conference looking for software to build our business and we realized that we had better software than the software that was out there. So we transitioned at that point in time and started shuttering our warehouse, and moved to a full blown software company. So in 2014, a little over two years ago or almost two years ago we left the physical product space, and now we are just a fully fledged software company with over 30 employees out of Athens, Georgia. Steve: So you actually developed the tool out of your own needs, and then just kind of adapted it for the masses? Jeff: Yeah, and I think what most people find in most of the tools that are in the market especially the Amazon market, that’s how they were designed. They were somebody’s spreadsheet, or they were somebody’s internal tool to help them with their problem. And then they were kind of who were built out to scale. And that is one of the tricks of the Amazon world is building a tool that can scale properly to thousands of customers. Steve: So was that the same thing with Snagshout and Scope? Jeff: Yeah, so Snagshout was actually a funny story. So Paul’s wife was starting to get involved with buying discounted products online, and writing reviews for them. And she was mad because whenever she would go to get a product they had already given away their 20 or 25 of them. So Paul really kind of designed Snagshout as a way for his wife to be able to get access to more products to test and write reviews on, and because he was like, well I could just build one of those, and we could have people list products on it and you could get access to those products, and we could build a better system. Because back in those days, this was in like October of 2015 you had to post your item up for review, and then you had to collect all of this information back from your reviewer to understand who the reviewer was. And there was nothing automated about the process. So we really seeked at that point to automate the process, but typically good software is designed to solve an internal problem that you have, that you feel the market is having as well. Steve: So interesting Snagshout was developed for his wife, and then they later decided to prioritize it, or was that the intention all along? Jeff: That was the intention all along. It was — we saw the growth of the Amazon reviewer market growing obviously with everything we have within Feedback Genius. We saw the number of sellers requesting product reviews increasing significantly, the number of sellers moving to the private label industry increasing significantly. And as we were making changes to the Seller Lab — the Feedback Genius platform to be more product review oriented, we built out Snagshout. So we kind of looked at Feedback Genius as your way of developing organic reviews. And then Snagshout is your version of Amazon lightening deals, or Amazon vine, so it’s your way to kind of jump start your campaigns. Steve: Okay and so both of your top products Snagshout and Feedback Genius involve helping an Amazon seller get more feedback for their products. But recently in the past few months I would say Amazon has been cracking down on artificial reviews, and kind of degrading the value of giveaway types of reviews. So can you give us some insight on what the current review landscape is like? Jeff: Yeah, so I’ll take a little bit of – Let’s go back, I’m going to first say there’s nothing artificial about the reviews, and I’ll explain the difference between artificial and fake reviews, and the review landscape as it exist today, so let’s hit that up first. Amazon had a law suit that was in probably about a year ago in 2015, where they sued a company that was selling Amazon reviews. And flat out if you went to their site, it said buy an Amazon review, I think it was like $50 or something like that. One of the courses that sells in the market place, or was sold in the marketplace was telling people the value of the review was $50, and then magically this company started charging $50 for a review. But what they did they became highly illegal besides charging for a review, is they never actually physically shipped the product to the end user. So the end user would go online and they would buy the product using the coupon code, but the product would never be shipped, they would ship actually just an envelope with nothing in it, so that Amazon believed that a shipment took place, and so the seller was never having to actually give up the physical product, so that was totally fake reviews. The second totally fake reviews that Amazon cracked down on were the Fiverr websites where you could pay somebody on Fiverr to just go on and write reviews. And Amazon explicitly states in their terms of service, that you should not and cannot write reviews for products for which you have not used. So you can’t ask your best friend to go write a review for your product if they’ve never used your product. And so obviously that’s hard for them to crack down on, because there’s no way for them to know that’s the idea of the verified review, but when there’s people just flat out selling reviews, they can trace it and track it in that way. In August of 2015, I’m trying to keep my calendar straight in my head, Amazon made an update to their terms of service, and it really sent the whole industry into a bit of a teasy, and within that update of their terms of service, they made a couple very slight wording changes that really made everybody unsure of what was happening, and so they added a terminology that said that you cannot provide excessive couponing, and that you cannot intent to manipulate the sales algorithm. Those two things really sent everybody into this world of trying to understand what does Amazon mean, and everybody from that point forward has been looking for Amazon to say can I do this, can I not do that, can I use a super URL, can I not use a super URL. We in the Amazon world as sellers are looking for this black or white, tell us what we can do, tell us what we can’t do. Prior to the update in 2015, any purchase, whether the purchase was free or full price, they got a review qualified as what we call the verified review. One of the things that was noticed immediately after that update was that if you gave a product away for free, the verified review badge disappeared from the listing, and Amazon has gone back within their algorithm and cleaned up some things. Essentially what Amazon was saying was you need to really purchase this if you got it for free, and a lot of people get hanged up on the disclaimer, but understand that the disclaimer that Amazon requires you to leave, you have to leave a disclaimer that says you received the product for free or just counter exchange for your honest opinion. Well there is an Amazon rule that’s also a federal trade commission rule. Steve you probably know this from your blogging days, if you go back in the history what happen was we would send products to bloggers, and we would ask them to write about it, you might even pay a blogger to write about your product. Steve: Right, and it has to be fully disclosed. Jeff: Right, and that’s all federal trade commission, and that’s the same thing that Amazon is trying to implement within their reviews. Steve: What if you decide – Yeah, I was going to say please just define that for the listeners. Jess: A super URL is a link that sends you to Amazon, and it is adding information to the link so that Amazon believes that a search has occurred on their sites. So I just gave you the really basic version of it, but I could share a link to a blog post. Jeff: It gives you a very technical explanation of it. Jeff: What Amazon was saying, was hey we know you are doing this, and you are doing this with the intent to manipulate, so we are going to say there’s no more intentional manipulation of the algorithm. Our personal interpretation of that was that that’s what a super URL was. We subsequently had a meeting with Amazon in Seattle, and we flat out asked them and they said we do not recommend you use super URLs. Steve: I see Amazon walking in Google’s footsteps really. Google went through all this before in like 2013 I think, and Amazon is just catching up with their own internal product search stuff. Jeff: Exactly, I mean Panda, Penguin, Kangaroo, all the animals that utilize the sites who were doing it bad, but weren’t breaking the rules, found out that in the long run they were breaking the rules, and went into a purgatory that was realty hard to get out of. Steve: Okay, so no super URLs. Can you comment a little bit on just like the weight of these give away type of review now. Jeff: Yeah, so nobody knows the answer, and that’s the one thing I always like to state from the beginning. I love websites that say we are 100% Amazon compliant. Understand that what that means when a site says that is that they believe they are 100% Amazon compliant because they didn’t get a stamp from Amazon telling them that they are compliant. The weight of the reviews, they are different thoughts and strategies in the market as to what now constitutes a verified review. We have seen products given away at an 80% discount that still get a verified review, and we’ve seen ones that don’t. And so I think it’s very – Our believe, just our general believe is that products given away for a discount of 50 or 60% off are in the realm that will most likely still get a verified review. Now there is no way to know whether that number is 52 or 48 or 61, but that’s our general belief is that that is a discount that is not excessive, and that is not raising red flags with Amazon, like the people who are giving their products away for a penny at 99% off. Steve: Do you still have to reveal that you received it for a significant discount if it’s let’s say at a 30% discount? Jeff: That is a great question, and one that I have argued that you don’t, but technically per Amazon’s rules, any discount that you receive you are supposed to state, because it’s not like a deep discount. It’s just I received this product at a discount, but my argument Steve if you just kind of play with me here is, if you get a coupon to try a pizza company, you are not required to go on Yelp and say I only tried this pizza company because I got a coupon. Steve: Yeah, exactly which is why I asked you this question, was there was like a grey area here, right. Jeff: I think there is, I mean there clearly is because Amazon hasn’t defined, and what I like to tell people is understand Amazon’s intent, right? And Amazon’s intent is to maintain the validity of their review system, because that’s a cornerstone and a backbone of their whole ecosystem. And so if you are giving away – Because the other thing is the word excessive, how many products can you give away, and I also think it matters who you are giving the products away to. So I’ll give you an example if you are giving the products away to somebody like my wife. My wife buys and shops on Amazon, and reviews products on a regular basis, so if you look at her review profile, 70 or 80% of the products that she buys are full price products without a coupon, and then she picks up some items from Snagshout every once in a while to try as well. And if you put that in comparison to a heavy reviewer who is picking up 95% of their products from review sites at discounts that are 90 to 95% off, and everyone of them is a 5 star review, there’s ways in the algorithm to detect and validate it or add a weight to that. How the algorithm works I have no clue. Steve: That brings me on my next question, how do you seek out the real reviewers, and does Snagshout do anything about that? Jeff: Yeah, I would say that it depends what you are trying to do and how fast you are trying to do it. So if you have a broad use product, a flashlight, a garlic press right, isn’t that the one everyone likes to use? If you’ve got a general use product, because what’s at our disclaimer just because we mention a product doesn’t mean you should go source it, I got to do that right because that’s what people do. If you got a general use product, then I feel you are okay using a site like Snagshout because you are talking about general use products, and most people are general use people and are using them. If you have a very niche product, you have a product geared towards camping, or you have a product geared towards having a baby, then if the person who is reviewing your product hasn’t had a baby, and isn’t buying other baby products they are probably not the best person to be reviewing your product. So it’s almost using common sense and I think it’s using pricing right? So as an example we had somebody on Snagshout who had a baby product, it was a $40 retail value. I like to talk about perceived value, meaning what can you buy that product for on average on Amazon, and the perceived value of this product was around $35, meaning that if you went to page 1, most every product on that page was in the $35 range, and they gave that away on Snagshout for $15. Somebody who doesn’t have a baby isn’t going to spend $15 just to get a product for review. That is a great way for you to protect yourself and the people who really want to be using your products that will give you real reviews for your products. Steve: Let me ask you this follow up question then, so do you still recommend giving products for free in return for a review, or is everything leaning more towards like heavily discounting an item today? Jeff: I think you have to look at – One of the things we’ve learnt from Amazon by watching the– So Amazon has a group called the product review suspension team, and that team is – I normally get their title wrong, but their job is to look through the reviews, and look for inconsistent behavior, so what’s inconsistent behavior? If you are selling a vitamin supplement, and you are giving 5 of your products away every day for free, you are excessive and trying to manipulate the system. If you are doing a new product launch and you give away 50 of your products for free, because you are trying to get people out there and talking about your products, there are people who could argue that’s manipulation, but that’s also marketing. And that’s how you launch a product, right that’s what you would do if you were launching that product locally. And if you have a product that has a – If you continue to do that for a long period of time, then you might be manipulating and being excessive, but if you are doing it because it’s a new product and you are trying to get some attention to that product, I don’t believe you are violating the system, I believe that’s exactly what the system is there for. Steve: If I can interpret your answer, what you are suggesting, and it’s like a grey area, is you want to just think about what Amazon’s interest are in preserving their review algorithm when you are taking action. Jeff: I think you really want to do that, and you want to look it like what’s the– How do you really need to market your product. So what we recommend is you first start with optimizing your listing, okay so you got to have a rock solid listing, you got to have photos, bullet points, and everything needs to be feature benefit, right? What’s in it for the consumer? Then after that, you need to get your baseline reviews, so you need to have 10 to 15 reviews so that when somebody lands on your site, on your product, they actually can understand that that product has value to them, and that other people have agreed with that. And so that’s a great way to use Snagshout is get those initial reviews. Steve: Are these free reviews like complete give away reviews or? Jeff: I believe you should sell your product for as much as you can get for your product, and so it comes down to if you have a garlic press, you probably need to give it away for next to nothing, but if you have a high perceived value product you should try to get money back for your product and sell it. I know that’s a very vague answer, but I think there’s millions of products on Amazon, there’s 60 million search terms on Amazon or something crazy like that, so it’s hard to say there’s one path that you should do. Steve: What is your feeling on doing a really mass give away in the begging to launch your product? Jeff: I would try to use – Mass meaning? Do you have a number in mind? Steve: Hundreds of thousands, I guess hundreds, let’s do hundreds. Jeff: I would use external sources for driving that traffic. Steve: Can you be more specific. Jeff: Facebook campaign, right so let’s go back to the baby product. Run on a Facebook campaign that’s targeting people who have recently had a baby or have a child under a certain age. I think you are going to be better off to get that kind of volume coming from outside sources than trying to give that many products away. I also believe you should stair step it, so you’ve got your product optimized, you got your initial reviews, the next thing you should do is optimize your sponsored ads, because sponsored ads are essentially legal super URLs. Because somebody types in the word garlic press, your ad shows up, they buy it, Amazon is connecting the word garlic press to your garlic press, and you just created a super URL. You could run sponsored ads at a loss or at a break even, but you should maximize those. Then you’ll have a deficit, so you’ll know that you are looking for 50 sales a day, you are able to generate 20 sales a day from sponsored ads. Now you can use a tool like Facebook or a tool like Snagshout to generate the missing 30 sales that you have, using coupon and discounting. Steve: Okay, so what I want, and I don’t know if you can give me a straight answer here, but in an ideal launch, let’s say you had a product that you wanted to launch, what would be your step by step strategy just to get that thing launched? Jeff: Okay, so let me give you an example that we have documented on our website, so and please don’t go source about – It’s an apple slicer, don’t go source the apple slicer. Steve: Okay, I think no one is going to do that, but okay – Actually, yeah. Jeff: It’s kind of funny because one of the things we should have tracked was we should have tracked how many people were selling apple slicers before we started documenting the process, and how do people sell them today, because it clearly has increased. After Amazon made their algorithm updates, we worked with a guy on a product to get it launched with the intent of demonstrating how Snagshout still works without super URLs. And so we did an apple slicer, and the apple slicer is a very competitive product, it’s a very competitive space; there’s over almost 3,000 people who have a product that ranges for the word apple slicer, according to Scope and other tools. You are looking at estimated sales of 30 to 50 units a day of the product if you are ranking high on page 1, so fairly descent opportunities selling an apple slicer. We launched our product and when we initially launched our product we gave away 182 products on Snagshout over a 10 day period. So we didn’t go for 30 which is what you mathematically need to rank up at the top, we went for the bottom of page 1, and we gave away 18 a day for 10 days. Steve: Just for free, right? Jeff: I think we sold them for a dollar. Steve: Dollar, okay got it. Jeff: We were able to generate out of 182 we were able to generate 161 reviews out of 182 giveaways. Steve: Okay and did those turn out to be verified purchase reviews? Jeff: Yeah, but obviously things have changed since August, and so we are actually about to run another test to do the exact same thing to kind of see, we constantly are testing the system to see how it works. We have looked at everything within Snapshot to see what percentage are verified and which are not. How many people lose verified reviews and they change to non verified? Unfortunately there is no primary reason, you will find people with 50% discounts that are not getting verified reviews, and you will find people with 70 or 80% discounts who are getting verified reviews. The only thing that I can think of, and Steve you will probably agree with me, the only thing I can think of is the Amazon algorithm very similar to Google is influx, and so it’s going to take it a while to get through and clean up everything. Steve: Sure, and I’m sure things are changing everyday over there as well. Jeff: Right, and like we saw with Panda and Penguin on Google, it went in waves right? Jeff: It didn’t just all happen at one time. Steve: Right, those are very painful waves, if I remember. Jeff: They were and more painfully than that was if you got put it in the purgatory from one of the waves, it could to take you a year just to be re-indexed to get back out of it. Steve: Exactly yeah, okay sorry keep going. Jeff: We gave away the 182 products, and we ranked I think, we got up to number 7 ranking. We then stopped for about a month primarily because our velocity picked up so fast that we needed to get our inventory to catch up, right? Because the last thing you want is to get your velocity moving faster than your inventory turnaround time. Because pulling out of stock is one of the worst thing you can do for your ranking. Then about 2 months later we started writing more sponsored ad campaigns, and we did another small giveaway on Snapshot. I think we give away 50 units the second time, and that boosted us from the 7th position to the 4th position. We got as high as I think the number 1, we were as high as the number 1 position, I think right now I’m looking and we are in number, spot number 3. Steve: Okay, so it’s held even though you stopped doing the giveaways? Jeff: Yeah, and once you get into your spot, you really have to start messing, not messing with, playing with your price and optimizing for velocity and profit. We found that if you lower your price a little bit, you can increase your sales and off to where the profitability still makes sense. And then again once you get into a strong position, you can actually your raise your price and maintain that position while making a higher profit margin. Steve: Okay, and since we are kind of on the topic, so can you comment a little bit about all the different factors that affect search on Amazon, with respect to this experiment actually. Jeff: I will caveat this and I’ve said it a couple of times that this is just our opinion, but I think it’s pretty widely accepted amongst most people in the space. Your title, your bullets, your keywords probably have a small piece of it. Your price, your inventory, both your quantity of inventory, your history of inventory and your location of inventory. Let’s kind of break that down, so your quantity of inventory is how much you have on hand, and how long Amazon believes that inventory remains in stock, your history is your demonstration on Amazon that you replenish your products and you replenish them on time. Amazon, we believe actually gives you– the more inventory you have Amazon gives you credit for that. That kind of makes sense, they don’t want to support somebody who is going to run out of stock, and then there is not more to sell. They want brands that are going to be around for some period of time. Then your location meaning are you doing merchant fulfilled, or are you doing FBA. Jeff: Your photos have a significant value in the search and even more than that they have a significant value in the conversion of those search pages to your listing page, that’s what is going to catch somebody’s attention, and your price. We call those your direct factors, those are all things you can control. Steve: I’m just curious, have you done the experience where you’ve increased the amount of inventory and saw your rankings rise? Jeff: What we have seen is that it’s not necessarily about increasing your inventory, right? I don’t want to make a blanket statement and have everybody go out there and just order more products. Steve: Well you have to have the sales velocity to support the increase in inventory, right? Jeff: Right, Amazon wants to see– so if you know that your replenishment time, they don’t want to see your inventory dwindling low for a long period of time. So if you are restocking at the right intervals, you are getting credit from Amazon by showing your history. This is not an experiment I have done, but I do know somebody who has done this experiment, and what they do is they maintain their own warehouse where they hold larger supplies of their inventory, and they are constantly shipping to Amazon to replenish inventory based on 30, 60, and 90 days sales projections. Steve: I was just wondering if this is like a chicken and egg thing. You could be artificially limiting your sales by shipping in less stuff. You see what I’m saying? Jeff: Yeah, like if you are doing kind of an intro to private label where you are ordering in 100 products, and your reorder is going to be 12 weeks. Yeah, it’s a chicken or egg thing. I do believe the people who bring in larger inventories from the get go to support, can move up the velocity faster, because Amazon doesn’t want to sell your products faster than you have on the inventory. Amazon is going to slow you from getting it back because you are going to be on page 1 for 4 days, and then you are gone. Steve: Yeah, and so that makes total sense. That implies that if you are going to launch something you should have sufficient inventory to not artificially limit yourself. In case it takes off, right? Jeff: It’s definitely a challenge and part of the risk of building a brand on Amazon. One of the strategies I have seen … I know a seller who projected his inventory and thought that he was ordering 3 months worth of inventory, and then once he started selling he realized he had 9 months of inventory. And obviously there is the opposite side where you thought you ordered 3 months worth of inventory and you ended up with 3 week worth of inventory. It is a guessing game, but if you are projecting your inventory based on a 3 month approach, I think you are starting okay. Especially if you are importing your products from overseas where it’s going to take you 16 weeks or 12 week to get that turn around, you don’t want to be bringing in a product in and only have 3 week worth of inventory unless you are planning to airship more products in. You are just going to spend all this effort to get ranked, and then you are going to fall off the face of the earth when your product goes out of stock. Steve:	Right, plus doing air shipment is not economical there. Jeff: No, one strategy I know that a lot of sellers do is though if they see their stock starting to dwindle they might place the order and send 3 weeks’ worth of inventory air, and send the rest via sea. There’s a lot of strategies that can be employed, it’s really a matter of you having a comfort level and it comes down to– in a lot of cases it comes down to the amount of cash that a seller has available for making the investment. Steve: Sure, right. Hey Jeff I wanted to talk a little bit, just a about reviewing. There is a whole bunch of these private Facebook groups that do reviews. I know that Amazon has been cracking down on these things, and they know who your friends are and they know whether you have any relationships with them, so what is your take on them? Jeff: It is scary huh? Steve: Yeah, it is scary, so is your take these days generally to avoid, and how does Snagshout kind of get around this? Jeff: Yeah, Snagshout has 130,000 reviewers on our platform, so just by the nature of how we release products on our site it kind of spreads them out across more shoppers. We also limit shoppers so that they can’t have– Some of the other review clubs, one shopper might have 25 items at one time, and so by limiting the number of items that a shopper can have, you create an environment where it is shared and is fair across the board. doesn’t look as natural as if you had a larger pull of people who have the potential to do it. If the review club is required– so there are some review clubs out there that are there [inaudible 00:40:24]. We personally believe that is a bad user experience from the aspect that how many merchants are going to pick somebody who’s given a 3 star review to try their product, right? Jeff: We believe Amazon is watching that, we have seen that in suspension letters around product reviews. Amazon has named some of these clubs, I’m not going to speak to that, but as you Google it you can probable figure it out, and a lot of these clubs have changed their policies because of that. We tend to air on the side of our shopper. The attitude that we take with Snagshout is very simple whenever we develop any products or feature to the site. If Jeff Bezos was to use our site, would he feel we are trying to manipulate the system or violate Amazon’s terms of service. And if we can honestly answer that question that he will not feel that way, then we continue forward and if we honestly answer that question and we are not sure, then we stop. Steve: It seems like any review club needs some checks and balances to kind of go over the listing, make sure it’s a sound listing, and maybe a solid product to kind of improve the integrity of both parties to prevent any problems from happening, right? Jeff: Well, I mean what we tell anyone that signs up for Snagshout, the first thing I tell them is if you are not using Feedback Genius you are wasting your money. Why would you not set up a system to automate review solicitation from organic sales, before you start worrying about generating sales and reviews? Steve: Well plus it’s free to start; it’s like a no brainer right? Jeff: It’s free to start and it scales economically based on your orders, but it’s the idea that those are the reviews you should be focusing on, and then you should be using a system like Snagshout to help to kind of spur your sales along the way. And I think where sellers start to get themselves on trouble is where they became reliant on a system like Snagshout to generate all of their velocity. And so the success of your products is going to come from your listing, and your ability to convert people from your listing to sales. A tool like Snagshout should be a jumping off point; it should not be a necessity for continued product success. Jeff: Your product has to stand on its own. Steve: Sure, and so is getting the initial birthday [ph] reviews, is that just like a onetime thing, or is there something that you should continue to do at certain intervals? Jeff: Yeah, I mean I think you have to constantly you know, products have life cycles and you have to understand your product’s life cycle, and you have to understand when your product is and is not being used right? So the apple slicer for instance is probably going to be used a lot more in the fall when it’s apple season. I know that sounds silly, but that’s when people are thinking about apples, right? Think about like is your product a Mother’s day, a Father’s day, a St. Patrick’s day, like what would spur sales for your product, and if you are using Snagshout to boost your sales during a time when your dales are naturally boosted, because the search for that product is there, it makes sense if you are … That is something we recommend. So you can use us for your initial launch, and then like let’s say for instance for whether to use the apple slicer maybe like 2 or 3 weeks before apple season, I might want to do an extra little bump because I know there is going to be an increase in search volumes on my terms. 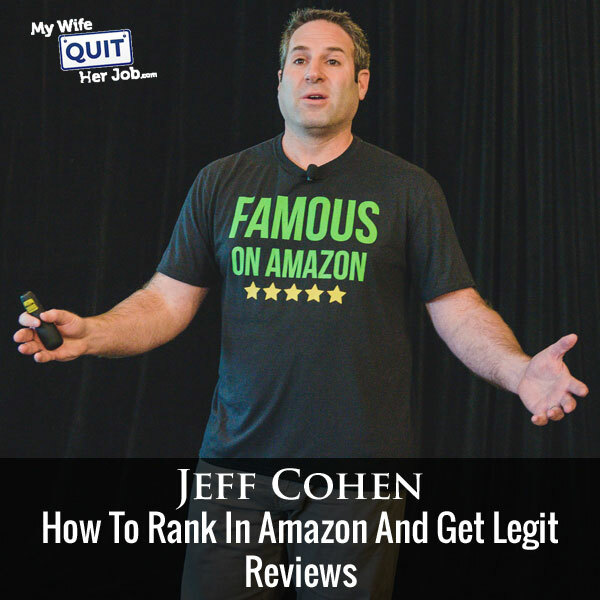 Jeff: I think where people get hang up is they are not watching the right data, and so they are trying to use reviews, and review clubs and couponing to make up for other mistakes within their product. And so if you have people coming to your listing, then you have what is called a session within the Amazon data, right? Then your sales are your conversions, and so what you actually should be looking for is your problem that your sessions aren’t increasing, or that your conversions aren’t increasing. Because you might be increasing your rank on keywords, but you are not converting them into sales. Then your problem is your listing right? Your problem isn’t reviews, you got enough people coming, you are just not getting enough people to convert. Steve: Yeah, absolutely. I mean you have to take care of all different factors in order to be successful. Jeff, I want to touch on one thing before you go, and this is the notion of sending out the feedback emails like on Feedback Genius. What are your recommendations these days for the number of emails to actually send, because I have heard anecdotes that certain buyers are kind of getting annoyed with the amount of email that’s getting sent to them these days. Jeff: Yeah, so the way I answer that is every product is different, but if you don’t have a purpose in sending the email, don’t send it. So 2 is probably the number you should shoot for unless you have a good use case for sending more than 2. Steve: Okay and these 2 are for what purpose? Jeff: Typically all of your messages should be to enhance the customer’s experience, so it should be part of your product’s life cycle to the customer. It should not be repeating the message that Amazon is already sending, so you don’t need to tell them that their order has been confirmed, they already know that. Let’s say the apple slicer for instance, I can enhance the customer’s experience by delivering a message based on the product being delivered, and I can include a recipe book for my favorite apple, my grandma’s famous apple pie. Steve: That’s borderline email marketing, is that a grey area in terms of what you can send a customer through Amazon’s email? Jeff: Okay, so it’s not, it’s part of the– if it’s part of the product that they are purchasing, it’s not considered email marketing. So if I was to say, “Try my grandma’s recipe, and buy her baking dish.” Now I’m in email marketing, and I have violated Amazon’s terms of service. As long as I’m not talking about anything about buying other products, I’m just talking about the use of my product, it could be. I always make recommendations, how to clean your product, how to use your product, best recipes for your product, shopping list for you know how to make those recipes. Those are all good, anything that’s saying that if you have this product you should buy this product, though or come check out, you know here is a coupon to try something else that I sell. Those are all violations of Amazon’s terms of service. Steve: So it sounds like your recommended flow right now is to give some sort of thing in your first email, and then ask for the feedback in a subsequent email. Jeff: Yeah, so there is a couple of different flows that can work. Again, you got to know your product. So I’ll give you an example, we had a guy who was selling a product, it was a powder, and what happened with his product was his powder settled during shipping, so when you opened up the bag, the top like 30% of the bag was filled with air. A lot of sellers started to think, I’m sorry a lot of shoppers started to think they were getting ripped off. And so he used Feedback Genius to send a message when the product was being shipped before delivery that just said, “Hey, when you open up your product it settles during shipping, and it’s going to seem like there is a lot of air, but understand the weight is still the weight that you bought.” That reduced his customer service complaints significantly, and then he came back and he followed up with an ask for a review. If you having a customer service issue, you can use Feedback Genius to actually address the customer service issue. We had somebody else who sold a product that was based on size, and it was not returnable once you opened it. So she sent actually 3 emails, she sent one based on the product being shipped saying, “Don’t forget, here is how to measure properly to know that you got the right one. And if you open it, it is non returnable. She did that same message again based on delivery. And then she wrote a few days after delivery to see how the product was being used. So how can you improve your customer’s experience through messaging, and that’s a great example. If you have a food product or a kitchen product or a camping product, be a brand to these people. Talk about your product in the lifestyle, and in the framework of how they are going to use it, right? And by giving them information you now create a dialogue and a relationship with them, so that when you are asking for the next piece of it, it’s a natural. I’ll give you one more example, I recently bought a product on Amazon, it was a magic product. And when I got the email from the guy, it was all about like extra tips. Like if you are having trouble doing the trick do this or try this or — so he was trying to help me understand how to use his product better, which made me not only want to give him a good review, but if I’m going to buy another magic trick I’m going to buy it from this guy, because I know that he is going to help me succeed in trying to do magic. Steve: So it sounds like what you want to avoid is like repeated feedback request messages, right? I mean you want to always to be giving value to your customer with every send? Steve: Jeff man we’ve been talking for quite a while, and everything that you’ve provided has been very helpful. Where can people find you if they have questions or want to check out your products? Jeff: Yes, so I’m sure we’ll have a link in the show notes to get to a special offer on Feedback Genius, but we are at feedbackgenius.com, or sellerlabs.com. And I would be happy to — you can always find me on Facebook or as you mentioned I attend a lot of conferences. You are welcome to come up, and say hi and ask questions. I love talking Amazon. Steve: Yeah, and for all of you listening who are going to be at the Seller’s Summit, Jeff is going to be there also and he is going to be talking as well. Jeff: Yeah, we are going to get into some of the concepts we talked about in here a little bit more in depth with some examples, and some survey data that we have from real shoppers on what gets them to buy. Steve: Cool man, well Jeff hey thanks for coming on the show. Jeff: Great I appreciate it, thanks for having me. Hope you enjoyed that episode. Jeff is incredibly knowledgeable about Amazon, and he is got tons of user data to back it up. Not only that, but the tools that Jeff’s company Seller Labs offers are must haves if you plan on selling on Amazon. For example I have been using Feedback Genius for quite a while now, and Snagshout is a great tool for giving your listings a boost with reviews. For more information about this episode, go to mywifequitherjob.com/episode120. If you enjoyed this episode please got to iTunes and leave me a review. This is by far the best way to support the show and please tell your friends, because the greatest compliment that you can give me is to refer this podcast to someone else either in person or to share it on the web. Now if you are interested in starting your own online business, be sure to sign up for my free 6 day mini course where I show you how my wife and I managed to make over 100k in profit in our first year of business. Go to mywifequitherjob.com for more information, sign up right there on the front page, and I’ll send you the course via email immediately. Thanks for listening. Good stuff, thanks! Im confused though, he mentioned that paying for a review is illegal, but then goes on to talk about giving products away for free and discounted prices for a review? Isnt that the same as paying for a review? Can i legally tell someone “ill give you a discount if you leave a review”, or do i just have to give products away for free and dicounted prices and hope for reviews? Thanks! NO, you can not tell anyone “ill give you a discount if you leave a review” – That is against the TOS. Great episode – I have one question though. Summarizing here: Jeff mentioned that Amazon may know who your friends and family are, so you have to be careful with having them purchase your item on Amazon to review. How would they know that if somebody lived out of state and had a different last name? I am about to launch and was planning on sprinkling a few in ever other week or so. Thank you for your comment. To be honest, nobody knows how they know or what they know, we just know the know. Okay, I used the word know five times in one sentence, pretty sure that is against all grammar laws! You are launching a product, you want to get some reviews. That is your challenge. Here is my suggestion. 1) optimize the heck out of your listing. This includes your title, bullets, description and back end keywords. Amazon will never rank you for a product if you don’t tell the search engine what your product does. 2) Generate some sales. Find a community of like-minded people who would use your product. If you don’t have that consider a website like Snagshout (see above for a link). 3) Set up an auto responder and ask for a review. If you want to give products to family understand the risk. One thing we tell sellers is your business, your risk. Every seller has a different risk tolerance. I like to educate what is right and what is wrong. Many sellers live in the gray area and take calculated risks based on their own tolerance. The way I sleep at night is…If you give it to your family and you get in trouble, you knew the risk. I would never want to let a seller think they can do it and won’t get in trouble when they could. Thank you! That is a really good answer. I am very similar to you and am super risk averse with what I do online, and I stay away from gray/black hat tactics. I got lucky in finding a ‘cool’ product that my friends and family are interested in. I also believe my product is the best in the category, so having them buy it and review seems like a win/win – but I understand where you’re coming from. I will absolutely look into Feedback genius. Thanks for all the tips, it’s super helpful!